Performance of legendary rock band Procol Harum with New London Sinfonia and Occam Singers was thought to be the coronation of The Web Arts Festival which took place in Guildford, Surrey near London. It was a long Sunday. Procol fans from all over the world did not take much notice of the bad weather forecast and showed up in crowds. Their persistence and endurance was rewarded with the sunny weather. I am sure that even the Bible flood would not have stopped their pilgrimage! Shortly after the sunset Procol Harum, the star group of the festival, showed up on the stage. Their pack reflected, in a sense, a 33 years old history of the band (including their frequent personel changes). First of all, there were two members from the first clique of the late sixties: singing pianist Gary Brooker, spiritus movens of the band, and their brilliant organist, Matthew Fisher. Then Mick Grabham, the guitarist, the symbol of the next decade, the seventies, and Mark Brzezicki, drummer, and Geoff Whitehorn, guitarist, the icons of the band from the time of its revival in the early nineties. The youngest generation was represented by Matt Pegg, son of ex-bass player of Jethro Tull, who by the way was born 1971, at the time of release of the group’s fifth album. The band played their greatest hits with A Whiter Shade of Pale on the lead. So how was their performance? Amazing, as usual. The gig proved once more that "old" masterpieces of rock music are evergreen. Some numbers from the band’s last album The Prodigal Stranger were not missing either. Their old sound gained a more heavy metal polish thanks to Geoff Whitehorn who unexpectedly turned up on the stage three-quarters into the show. Two guitars playing for Procol Harum! Was it just our privilege at the end of millennium? And then we also witnessed sax improvisations of Frank Mead, a guest player. The whole gig was a sophisticated cocktail of fresh sounding rhythm section, elaborated and stunning solos of Mick Grabham, sobbing Hammond and orchestral menagerie. And above all, that piercing voice of Brooker under star sky over Stoke Park was embracing the whole music. 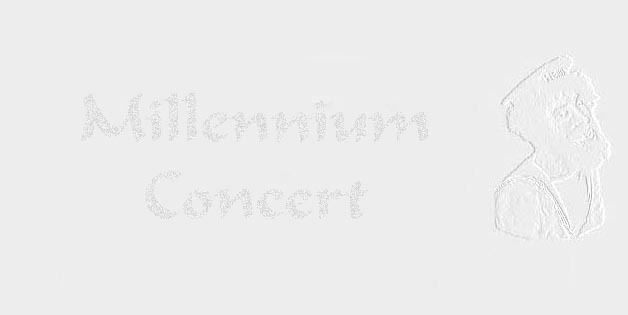 As for the festival of multimedia art, the concert was visually mastered in style of next millennium. A massive screen situated at one side of crowded stage showed pictures from several cameras. Looking at the stage and peeking at the screen from time to time, one seemed to see two reflections of the same picture. Duality of the nature? Strangeness of existence? Yes. A feeling as scaring as Procol’s music. Songs played in order: Bringing Home the Bacon, Homburg, Conquistador, Shine On Brightly, Grand Hotel, Pandora’s Box, Beyond the Pale, A Salty Dog, Man With a Mission, Cerdes (Outside the Gates of), Holding On, Repent Walpurgis, Piggy Pig Pig, A Whiter Shade of Pale, Into the Flood, New Lamps for Old, Grand Finale.